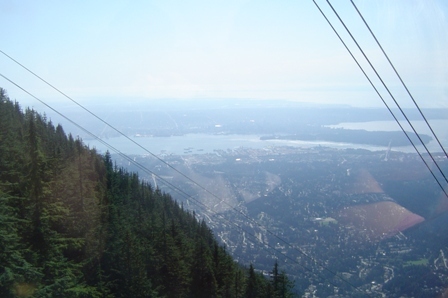 In these Grouse Mountain pictures I am waiting for the tram to return to the bottom of the mountain. 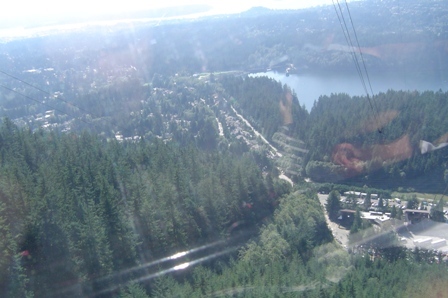 Then I'm in the tram about to make my way down with the next two pics a being my descent down the mountain. 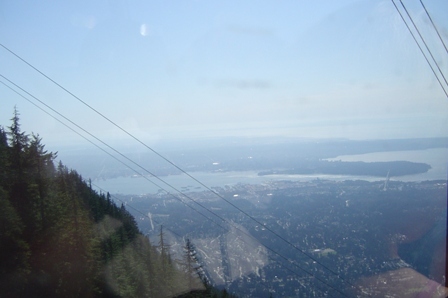 The views are spectacular from Grouse Mountain but now that I've done it, and paid my $40 to do it, I don't plan to go back. 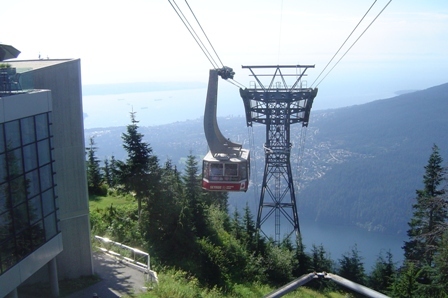 If you would like to comment on this page please add it here.